and watching the rest of you loose your hair too. 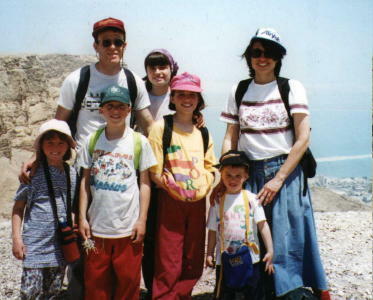 Susan Nashman-Fraiman- Susan, husband Yedidya, with their children (from left to right) Darya, Amitai, Orah, Deena, and Boaz on a hill overlooking the Dead Sea. Ronni Reiffe-Karbach- Dr. Ronni Karbach is a 1992 Graduate of Texas A&M University, College of Veterinary Medicine. Being a veterinarian is the only career she ever wanted, and she has always maintained an interest in exotic animals as well as domestic pets. In her veterinary career, she has worked for various veterinarians who increased her knowledge of reptile medicine, and she continues to take relevant continuing education courses when they are offered. She enjoys cats and dogs, and has two dogs, along with a bird and a variety of reptiles. 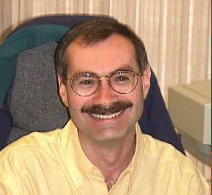 Roy Plotnick- After leaving Science, I went on to college at Columbia, a master's at Rochester, and a PhD at Univ. 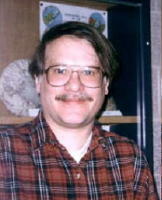 of Chicago in paleontology. I am currently on the faculty of the Univ. of Illinois at Chicago, Dept. of Earth and Environmental Sciences. I have been married since 1983 to Deborah Stewart, and have two great kids, Daniel (10) and Jonathan (7). We live in Oak Park, Illinois.